Businesses in Illinois who are serviced by Commonwealth Edison (ComEd) and Ameren have the ability to shop the Illinois electricity choice market for competitive rates. Companies who do not shop pay a default rate with their utility company. If a competitive power company offers a fixed electric rate lower than the default rate the business will be able to save money on their electricity bill. 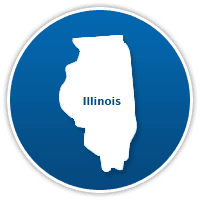 If you are looking for a custom Illinois commercial electric rate quote, give us a call at 1-888-307-9636. We will need a copy of your most recent electric bill and twenty-four hours. After that we will provide you with custom quotes for your business from up to 8 electricity companies and savings analysis comparing the lowest rate offer to your current electric rate.